LAHORE: Prime Minister Imran Khan has rejected the orders of Punjab home department of shifting Hussain Lawai and Abdul Ghani Majeed, arrested suspects in money laundering case, into Malir jail from Adiala jail. He has directed the home department Punjab to treat them according to law. 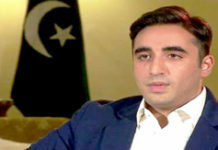 Sindh government had made a request to home department Punjab to shift arrested suspects Hussain Lawai and Abdul Ghani Majeed, close associates of former president Asif Ali Zardari into Malir jail from Adiala jail in money laundering case that was accepted by the home department Punjab but PM Imran Khan just after knowing the matter reprimanded the Punjab home department and directed to take back its orders forthwith. PM has ordered that both suspects should be treated according to the law.